Neurological disease is a major cause of disability and death across the world. There is increasing evidence that palliative care is effective in managing symptoms, maintaining and improving quality of life and helping patients and families cope with the deterioration. As the disease progression varies, both between diseases and for individuals. palliative care may be involved for varying periods of time, and may need to be involved episodically throughout the disease progression. Careful assessment of all the issues – physical, psychosocial and spiritual – will allow appropriate management and support for patients and families. Carer support is very important as families face all the issues of coping with a progressive disease. Recognition of the later stages of life is helpful in enabling patients, families and professionals to be able to prepare for the dying phase and manage all the issues appropriately. Arenella C. Coma and persistent vegetative state: an exploration of terms. 2017. https://americanhospice.org/caregiving/coma-and-persistent-vegetative-state-an-exploration-of-terms/. Retrieved 20 Apr 2017. Bisdorff A, Bosser AG, et al. The epidemiology of vertigo, dizziness, and unsteadiness and its links to co-morbidities. Front Neurol. 2013;4(29). https://doi.org/10.3389/fneur.2013.00029. eCollection 2013. Carlos K, Prado GF, et al. Benzodiazepines for restless legs syndrome. Cochrane Database Syst Rev. 2017; 20(3). CD006939. https://doi.org/10.1002/14651858. CD006939.pub2. Review.PMID: 28319266. Cuenca J, Glazebrook C, Kendall T, Hedderly T, Heyman I, et al. BMC Psychiatry. 2015;15:46. Published online 11 Mar 2015. https://doi.org/10.1186/s12888-015-0430-0. de Oliveira CO, Carvalho LB, et al. Opioids for restless legs syndrome. Cochrane Database Syst Rev. 2016; 29(6). CD006941. https://doi.org/10.1002/14651858. CD006941.pub2. Review.PMID:27355187. MD Guidelines. 2017. Available from: http://www.mdguidelines.com/dizziness-and-giddiness. National Institute for Health and Care Excellence (NICE). Metastatic spinal cord compression in adults: risk assessment, diagnosis and management. 2008. www.nice.org.uk/guidance/cg75. The Palliative Care Formulary. 2016. 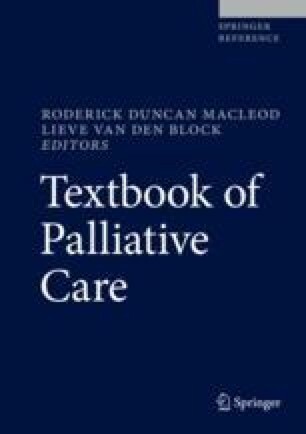 Available from: http://www.palliativedrugs.com/. World Health Organization. Palliative care. 2002. www.who.int/cancer/palliative/definition/en/. Accessed 26 July 2015.